For a used vehicle that is dependable and exciting, come to Bill Estes Chrysler Dodge Jeep Ram! Not only do we have a great selection of pre-owned models, we were given the Customer First Award for Excellence by the FCA. Explore all the possibilities by visiting 745 E 56th St, Brownsburg, IN, 46112. We look forward to meeting you soon! If your budget requires you to look for a used vehicle, you may be feeling overwhelmed by the number of options out there. In an effort to make the process simple and straightforward, we have compiled our inventory online with search filters that let you narrow down the choices to what you are interested in. Check all the pre-owned models we have to get an idea of the variety of our selection or check off the make, model, year, or MPG. To the right of the screen, you’ll see a quick summary of each vehicle, including a photo and the main specs. Compare two of them, side-by-side, to narrow down your contenders, and then use the vehicle details page to make the final decision. You’ll be amazed at what you can get without draining your bank account. Whether you are looking for a rugged Jeep SUV, a sporty Dodge muscle car, or a family-friendly Chrysler minivan, you are sure to find what you need here on our lot. We have business hours Monday through Saturday, so it’s easy to find time to stop by and take a few of our vehicles out for a test drive! If you have questions about how you can find a trustworthy used vehicle or what model might be best for your lifestyle, our friendly staff is ready to help. All of our used vehicles are inspected by our trained technicians and come with a free CARFAX® Vehicle History Report™, which allows you to see how it was maintained in the past. RECALL NOTICE: Some vehicles offered for sale may be subject to unrepaired manufacturer safety recalls. To determine the recall status of a vehicle, visit www.safercar.gov or click here. 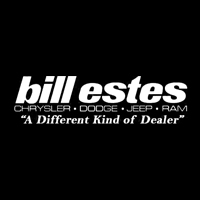 Don’t delay – come to Bill Estes Chrysler Dodge Jeep Ram and check out our used cars for sale near Plainfield, IN. Our goal is to earn your trust by caring about your personal needs, and your respect by treating you like family. Give us a call at 317-456-1600 to learn more about how we are a different kind of dealership!